Indigenous - widely distributed in South Africa. Aromatic, fast-growing perennial herb with long, narrow sharp pointed green leaves and creeping rhizomes below the ground. Needs full sun or semi-shade. Can be invasive, plant in a container and cut back often - can be repotted every year or two in new compost-rich soil. Delicious with ice cream and in mixed salads and vegetable dishes. Serve iced drinks with chopped mint. Fresh or dried leaves make a refreshing tea. You can also remove the herb, cool it off and put it in the fridge and serve it as an ice tea. When diluting pure fruit juice with water, add a sprig of any mint and put it in the fridge to chill. 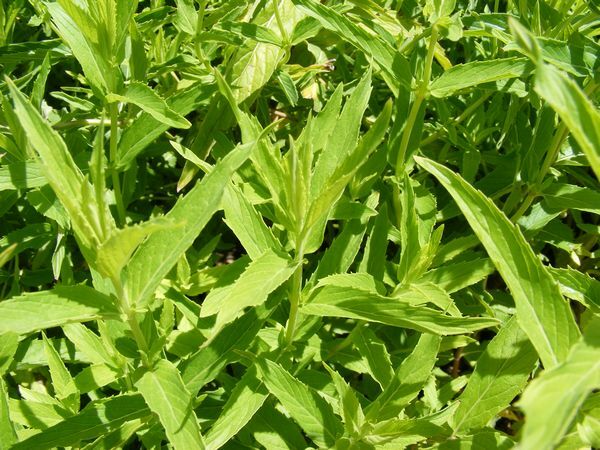 Popular traditional medicine to treat respiratory ailments. Leaves are brewed into a tea - coughs, colds, stomach cramps, asthma, flatulence, indigestion and headaches.